Whether it's your primary residence, secondary home or seasonal getaway, furnishing a home can be a burdensome task. If you enjoy interior design as a hobby or find enjoyment crafting a space to your taste, comfortably furnishing a home to live in can be a big process. One option buyers can consider when buying a home is to focus your search on "turn-key" properties. These are listings that come equip with many of the interior necessities such as couches, tables, beds and more. They may even include fully stocked kitchens with plates, silverware and cookware. The inventory of listings sold completely furnished is limited so be sure to discuess with your Realtor that you're looking for turn-key properties and request an inventory sheet of everything that comes in the sale. For those interested in properties like this, here are 5 turn-key properties on the market right now that are ready for you to start living your best life. 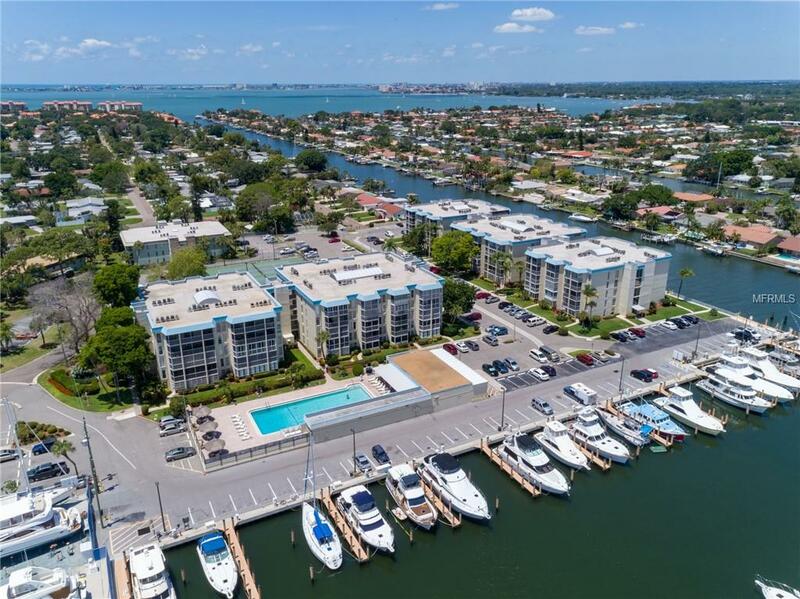 Boaters & Beach lovers Haven - 2/2.5 1500 sq. ft., 2 story, open concept, modern condo w/ 3 enclosed balconies, - stylish & spectacular open kitchen with new cabinets, quartz countertops, new appliances, and 4 person sitting area island, luxury vinyl flooring throughout, even staircase & 3 balconies - everything you see is included, turnkey, professionally remodeled & decorated - located at Moorings of Maximo - on marina, with dockage, which is undergoing $20-million $$ renovation - waterfront community, walking distance to Publix, shopping, and Eckerd College - 4 miles from best beaches - swimming pool, clubhouse & lighted tennis courts - bring your sailboat, jet sky, or fishing boat - Florida living paradise - truly move in ready !!! 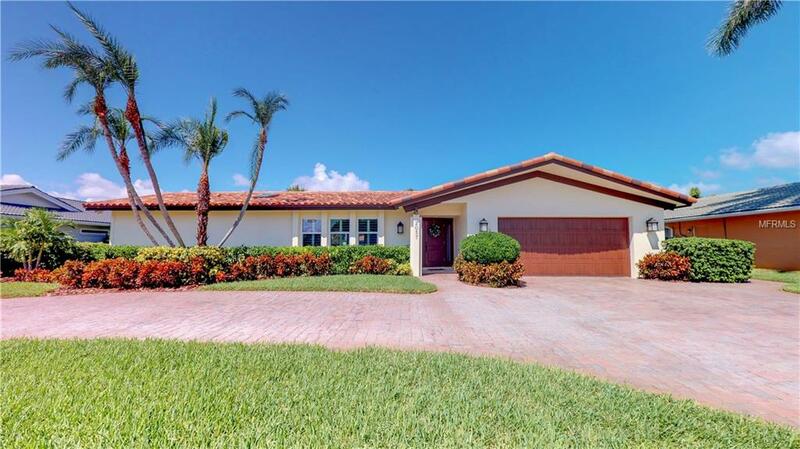 Excellent Family Home centrally located in thriving St.Petersburg. This turnkey home boasts 4 bedrooms, 2 Baths and has just over 1,800 cooled Sq. ft. Upgrades include a newer A/C, roof, Remodeled Kitchen cabinets, granite counter tops and a custom shelving system in the Master Bedroom. A new fence has been installed giving you privacy while relaxing on your large back deck with friends & family. The back yard also features a large work shed and there is plenty of room to add a pool. 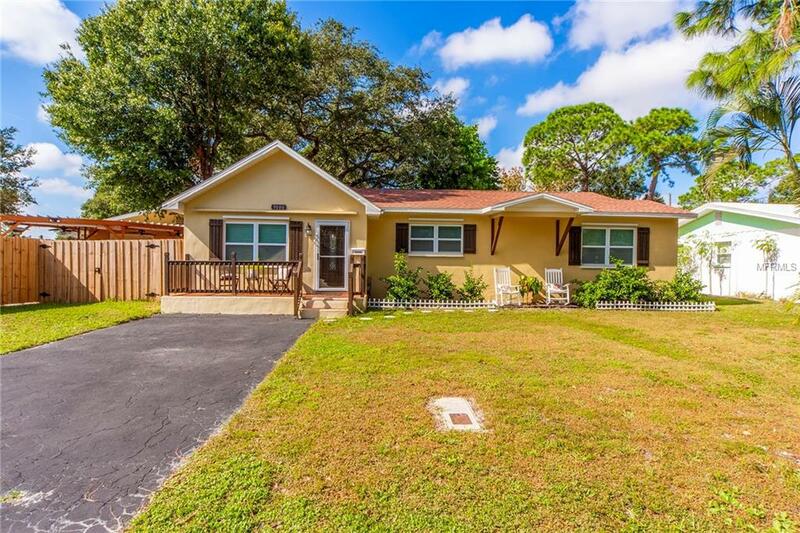 Located just off of 4th St. N. makes this location very accessible to everything in St.Pete, Tampa, Pinellas Park, Clearwater & The Award Winning Beaches of Pinellas County. Don't wait long on this one. Sold FULLY FURNISHED! Sip your coffee on your private balcony before you take a morning Kayak adventure over to Merry Pier in historic Pass-A-Grille. This turnkey unit has 2 Bedroom and 2 baths boost over 1250 sqft with UPGRADES! Partial water view of the Tampa Bay. This "move-in ready" fully furnished unit offers large bedrooms with walk-in closets, open floor plan, and desirable interior. Sought-after reserved under building parking space is included. Bahia IV has a full fitness facility, reading room, climate controlled bike and kayak storage area. Wi-Fi on all 3 tastefully decorated lobby floors. The pool area overlooks Intra-coastal and Tierra Verde waterfront. The 350 acre island of Isla del Sol offers lush, tropical landscaping, a Yacht and Country Club, with an 18 hole championship golf course, a yacht basin, lighted tennis courts and a beautiful clubhouse. There are various memberships available. Quick access to I-275, just 13 minutes to downtown restaurants, museums & shops, 35 minutes to Tampa International Airport. Fort DeSoto and pristine St. Pete Beaches are just a short distance away. 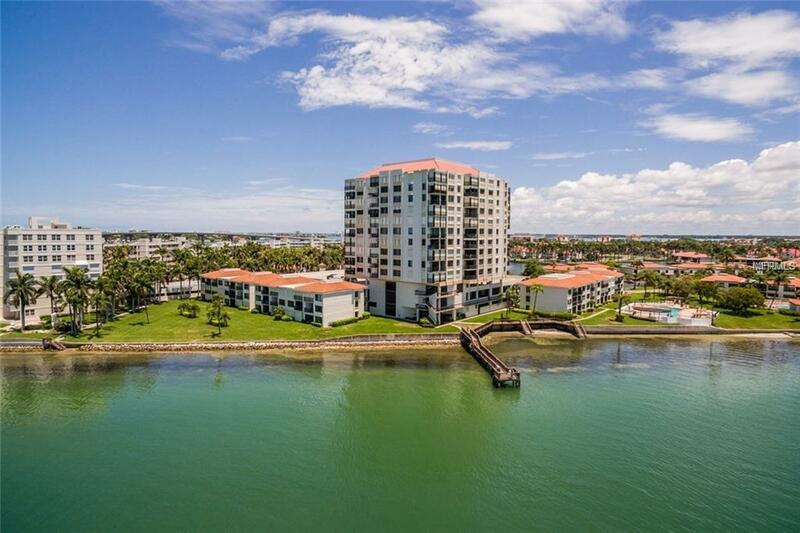 You'll LOVE the SPECTACULAR, PANORAMIC views of Boca Ciega Bay and the distant gulf beaches from the privacy of your double balcony. 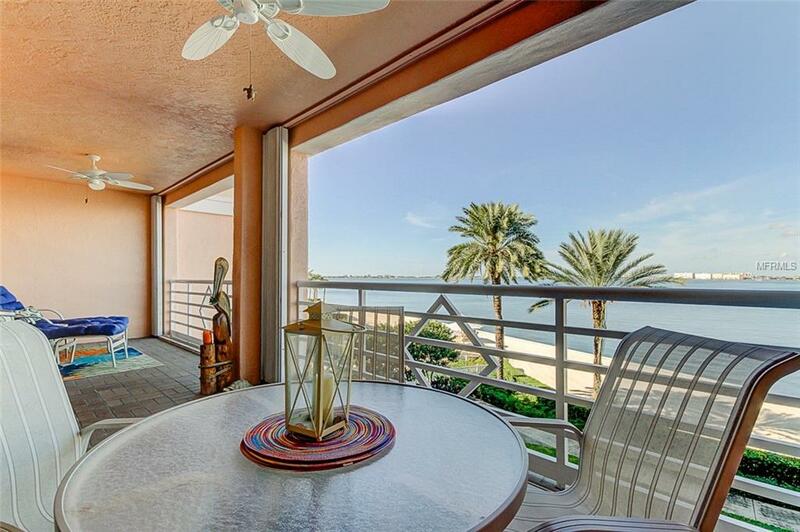 This beautiful, turnkey, waterfront 2 bedroom, 2 bath condo boasts 1822 sq. ft. of generous space to move about. There are also options to create a third bedroom or 2nd suite. Features include a Trane HVAC (2010), all new stainless steel appliances (2013), hurricane shutters on the balcony, and a coveted garage space for one car and additional parking in front of unit. Bacopa Bay is on 12 sprawling acres, with 1470 ft. of waterfront to walk, swim, or relax by one of two pools. Bacopa has undergone renovations over the past 18 months, so you will enjoy updated 24/7 fitness center, pool areas, freshly painted exterior, and flooring surfaces in common areas. This resort styled community with a 24/7 guard gate and traffic light at entrance for ease of commute is situated minutes from award winning beaches, and only 10 minutes from vibrant downtown St. Pete, home to the Dali and Chihuly museums, restaurants, dog parks, morning market, and local breweries. Easy access to I-275 and Tampa International airport make Bacopa Bay THE premier location. WATERFRONT STUNNER!! For the most discerning buyer ! Wide open views on a huge deep water canal.. Venetian Isles 4 BR/3 BA absolutely Gorgeous w/ Custom finishes, chef's kitchen w/ huge island &built in wine cooler, Incredibly expansive outdoor living w/ fabulous newly redone heated pool & spa, huge travertine patio, Large composite dock w/ electric lift and wide open views out to Ross Island! Hurricane impact windows & pocketing sliders, gorgeous tropical setting w/ newly landscaped yards, located on very unique extra wide desirable canal. Brand new custom floors,very wide open floor plan w/ fabulous Master suite sanctuary, Separate living w/ 3 BR suites on split plan w/ bath that opens to pool...no detail has been spared! This is a boaters dream! All furnishings can be sold as well as a very nice boat for the ultimate in turnkey!